Retail store owners can sometimes find themselves in a slump and feel frustrated when sales are down or when they’re just not getting enough foot traffic. In most cases, they can easily get too involved in the day-to-day operations of their retail stores to spend enough time brainstorming marketing ideas or promotional events, let alone execute on those ideas. Some retailers worry that marketing is too expensive, while others may find it too time-consuming. The solution? Location-based marketing. Location Based Advertising (LBA) isn’t a new tactic, of course. But with mobile driving marketing budgets and plans in 2017, and for the foreseeable future ahead, location-based marketing strategies offer a perfect opportunity to open doors for huge retail sales opportunities, especially when done right! Let’s put it this way. 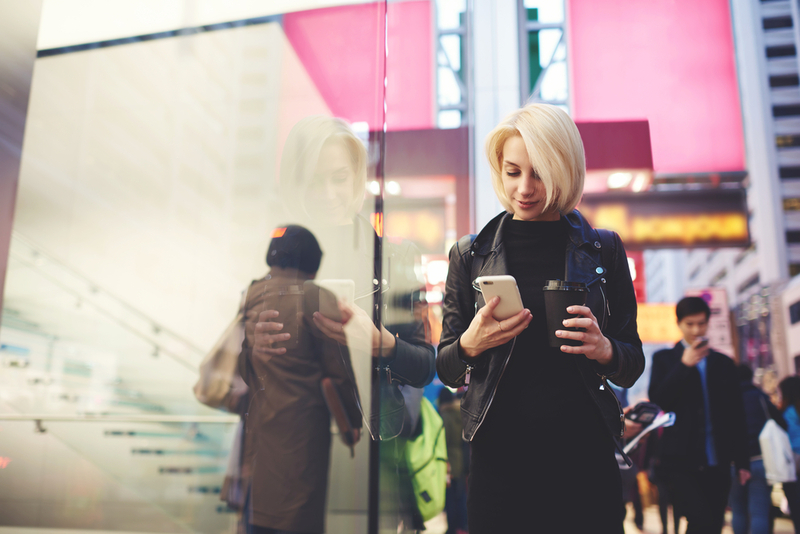 Mobile is now the extension of a retailer’s storefront, and tactics using location allow brands to send tailored, personalized messages to the consumer. Creating targeted ads that ‘feel’ as if they’re talking directly to the consumer can increase intent to buy, and that in turn has the potential to increase purchase intent. The mobile ad industry is in constant growth, going back from 2015 and looking forward into 2020, this upwards trend is expected to continue growing at a rapid pace. Location Based Advertising (LBA) allows you to vary your marketing message based on where your target consumers are geographically. Location-based services (LBS) allow you to tailor messages to any number of scenarios. NUVIAD brings both of these worlds together with NUVIAD Local. NUVIAD Local automatically manages where and when your ads will appear on your customers’ mobile Apps in your area. Select your audience by choosing the desired gender, age group, and OS. Then create relevant ads by simply writing a short 2 line ad, and select an image from their vast image library. By knowing where your consumers are and how they usually behave, you can tap into their habits and also encourage them with offers and messages which relate to their current location. But it doesn’t stop there, NUVIAD’s Hypelocal Ad Platform goes one step further by allowing you to create ads that help your potential customers navigate straight to your front door, with features such as Tap for Map (Navigate to Store), and Tap to Chat (Chat with Store Rep). The more you learn about your customers’ desires and how they’d like to use the geolocation technology to aid their shopping journey, the better your brand will be able to provide content that drives trust and loyalty. It’s time for brick and mortar stores to leverage digital marketing globally. Using Hyperlocal Mobile Advertising, they can quickly and efficiently turn their stores into magnets for qualified prospects. NUVIAD can help merchants grow their business significantly in their local area not just by increasing foot traffic, but by boosting the number of conversions.